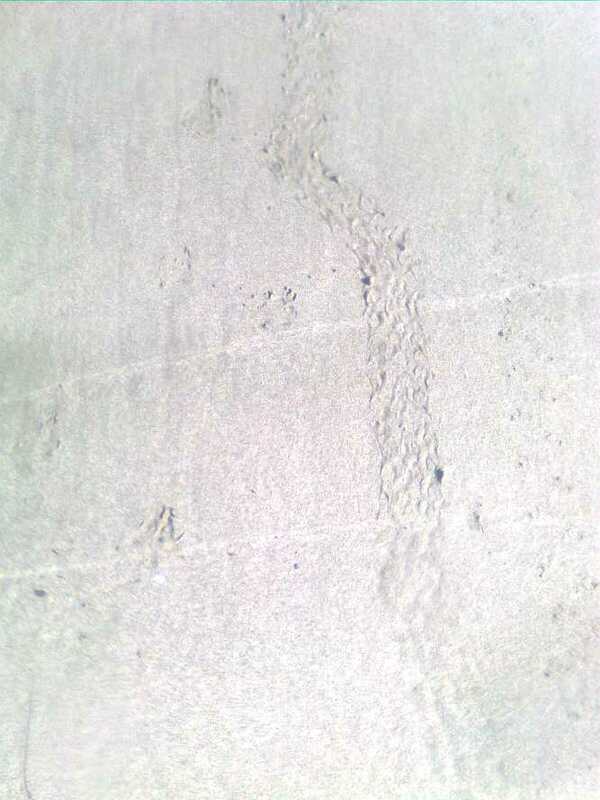 We spotted these turtle tracks on Carrillo Beach yesterday morning. 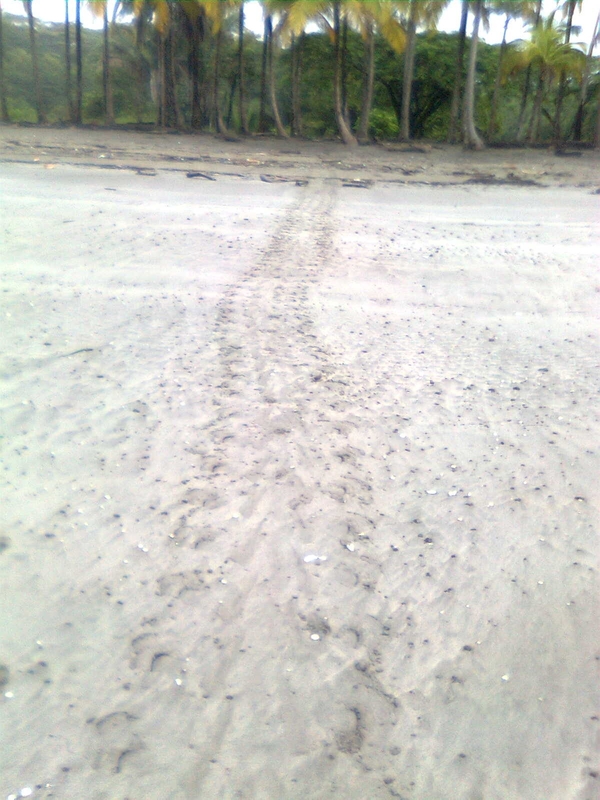 probably a rare and endangered Leatherback Turtle rather than our more common Olive Ridley. Comments? 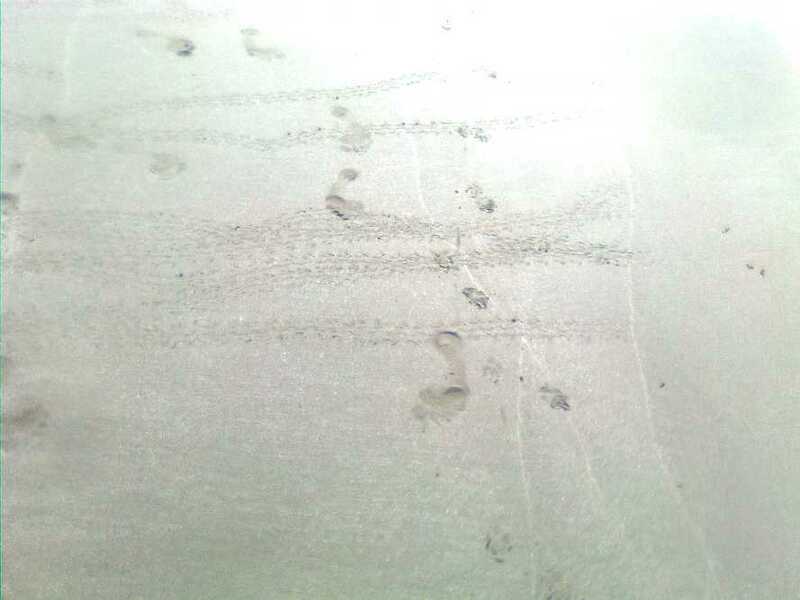 At Playa Carrillo this morning, we came across small turtle tracks, the evidence of hatchlings scrambling towards the surf. 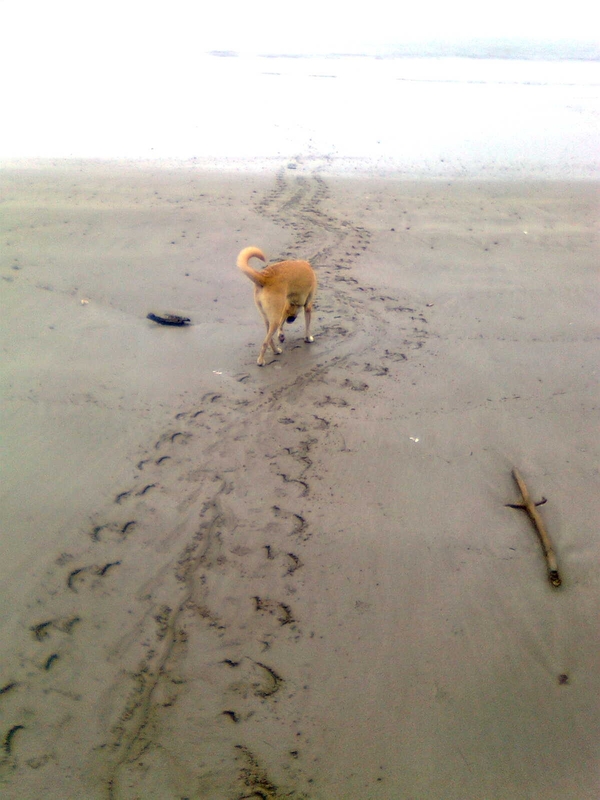 It looks like at least 25 of them foiled the poachers, the dogs, and the vultures to reach the sea. 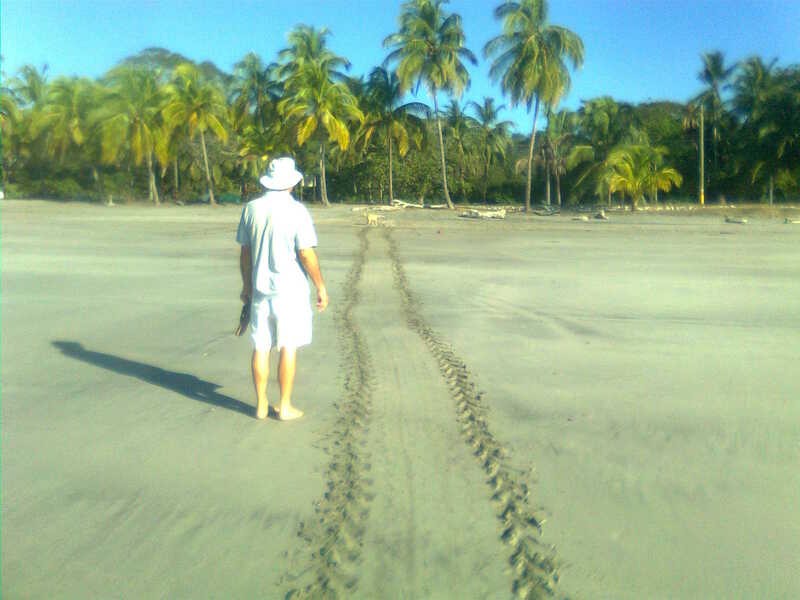 It's turtle season at Samara Beach, when the females come ashore to lay their eggs. 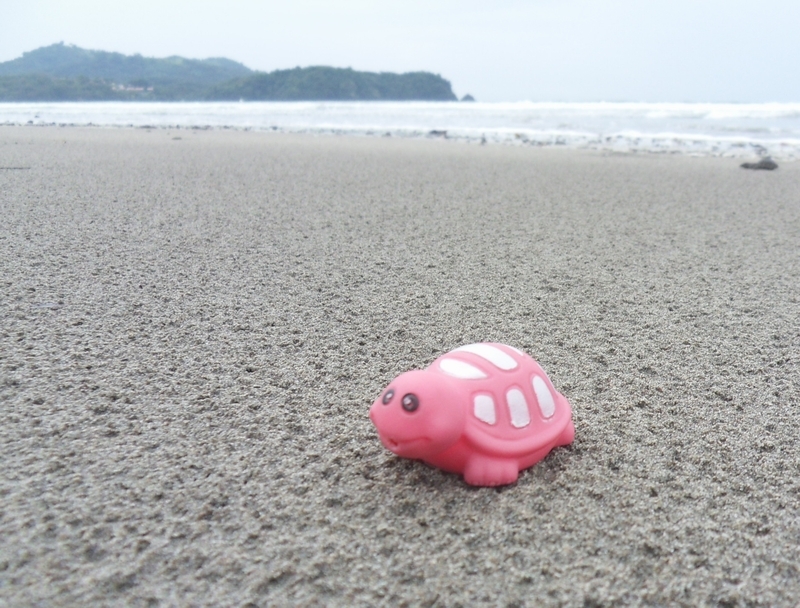 This rare Tortuga Rosada was seen this morning. Even more rare, she was working her way up the beach in the daylight. 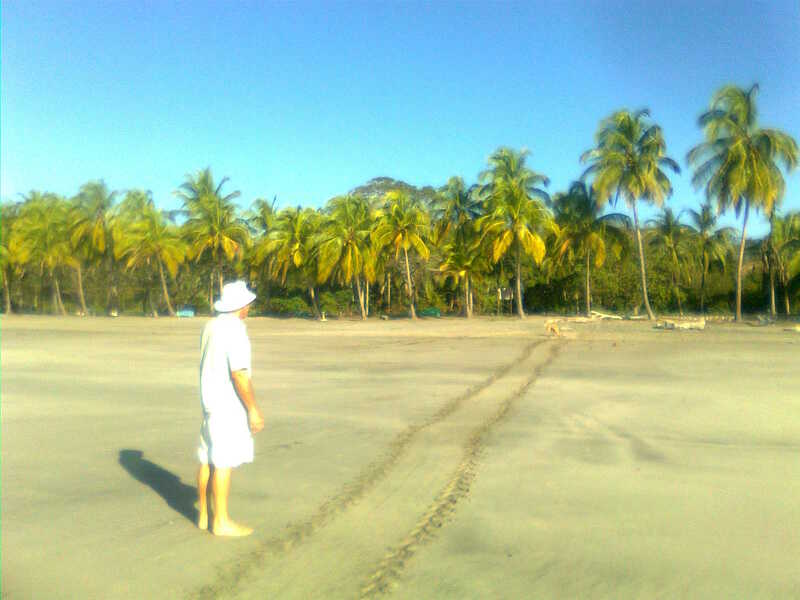 What rare sight have you seen in Costa Rica?